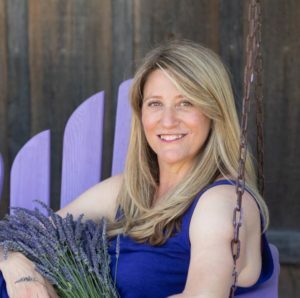 To keep our bodies healthy, we need to clean house on a regular basis by mobilizing and eliminating environmental toxins, like pesticides, chemicals, heavy metals, and mold well as by-products of internal imbalances, like viruses or infections. Toxins can build up in our bodies, impeding our ability to heal and making us more sensitive to everything, including food allergies and even smells, like cigarette smoke. 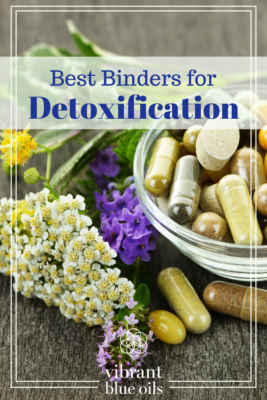 Binders for detoxification can help release the toxins in your body. When we detoxify, we need to make sure that the toxins are not only mobilized, but actually leave the body. In order to leave the body, toxins travel through the liver, where they travel to the small intestine in the bile. If the toxins are not bound to anything, most of them will get reabsorbed in the gut. Binders are substances that ‘bind’ to toxins to help move them out of the body. They work by attracting or trapping toxins, and transports them out of the body. What Binders Should I Use? The following are my favorite binders. The binders below work differently on different people based on their specific toxin load. What works for you can also change during different phases of treatment. Chlorella is a blue-green algae rich in vitamins, minerals, iron, and amino acids that has a high affinity for heavy metals, but also volatile organic compounds (VOCs), pesticides, herbicides, and mycotoxins. Because chlorella is a living organism, it has evolved to bind only to toxic metals, not essential minerals. For this reason, it can be used long term with no risk of nutritional deficiency over time. Chlorella works particularly well for removing heavy metals from the body. Chlorella can mobilize metals, so it is advised that you begin slowly and work up to the desired dose to prevent unfavorable side effects. I recommend this brand of Chlorella, along with these other Algaes: Ecklonia Cava, and Spirulina which have properties similar to Chlorella. Activated charcoal is literally charcoal from wood, peat, or coconut shell that is ‘activated’ through heating it in the presence of a gas that creates little holes within the charcoal. The little holes entrap the toxins. Charcoal isn’t absorbable by your body so it passes through the GI tract while taking unwanted toxins with it. Activated charcoal is a broad-spectrum binder that will bind a little bit of everything. This means it will bind toxins, as well as vitamins and minerals. For this reason, it is best consumed on an empty stomach first thing in the morning or last thing at night. Bentonite Clay– Bentonite clay is a consumable clay originating from the ash created by volcanoes. It soaks up toxins, heavy metals, and other harmful materials. I like this Bentonite Clay. GI Detox – My favorite binder, GI Detox, is made from 75% Pyrophyllite clay – a rare clay that is richer in silica and quartz than other clays and works by both adsorbing (to bind to) and absorbing (to ‘swallow’ up) chemicals – and 25% activated charcoal. GI Detox helps restore gut microbial balance and is gentle enough to use daily (take one to two capsules twice daily on an empty stomach). Other powerful clays include Zeolite (like ZeoBind). Pectin is a powdered fiber supplement made from apples, plums, grapefruits, or other citrus fruits that has a high affinity for lead and other heavy metals. It helps to detoxify the body by sweeping up biotoxins in the gut caused by mold and other infections. In addition, pectin is a very gentle binder and has some immune-modulating properties. I recommend this brand. Enterosgel is a silica-based gel has a high affinity for aluminum and is super easy to add to water and give to kids who might struggle to swallow pills. It is also good for binding to gut endotoxins and has a low affinity for vitamins and minerals. I recommend this brand. Silica can bind to aluminum and other metals like thallium and tin. You can get it though silica-rich mineral water like Volvic or FIJI Natural Artesian Water. I recommend Biosil available here. Humic and Fulvic Acids are made of decomposed plant matter, essentially dirt. They have been shown to detox the pesticide glyphosate. I recommend Trace Minerals Research Liquid Ionic Fulvic Acid. Because binders can bind to nutrients, they should also be taken away from food. It is generally recommended to take them at least 30 minutes before, or 1 hour after eating or taking any supplements or medications. Binders can also cause constipation, so make sure to take them with plenty of water. Chasing them with magnesium citrate can also help reduce constipation. Parasympathetic™: The body needs to be in a parasympathetic state to successfully detoxify and heal. Your body cannot detoxify and heal when you are under stress. The stress state, known as the “fight-or flight” sympathetic state inhibits the organs of elimination, reducing the body’s ability to eliminate toxins. Detoxification organs like the liver, gall bladder, kidneys, lungs, gut and skin are all associated with the “rest-and-digest” parasympathetic state of the autonomic nervous system. To ensure optimal detoxification, you can apply the Parasympathetic™ blend to the vagus nerve (behind the earlobe on the mastoid bone) before meals to stimulate the parasympathetic nervous system “rest-and-digest” state. To learn more about how Parasympathetic™ can support detoxification of the brain, click here. Lymph™: The lymphatic system removes toxins from every cell in the body. It works as the body’s septic system, removing the byproducts and wastes created from metabolizing nutrients. Just like the drains in your home, the lymphatic system can get congested and stagnant, and toxins can build up. The more you can help the lymph fluid flow, the more quickly you can move toxins out of the body. Attempts to detoxify the body when the lymph system is congested often lead to detox and healing reactions. The lymphatic system helps remove toxins, excess fluid, and waste products from the cells and the interstitial spaces between the cells. Unlike the cardiovascular system, the lymphatic system does not have a central pump—it only moves as the muscles squeeze it along. So the lack of movement makes the lymphatic system stagnant, with waste accumulating and excessive toxins building up. Lymph™ blend helps keep lymph flowing to move toxins out of the body. Liberally apply 2 to 3 drops of Lymph™ to both sides of the neck, the lymph nodes under the arms, over the clavicles and around inguinal ligament (bikini line area—think where your leg creases when you lift it) to ensure optimal drainage and health. Liver™: The liver is the primary organ of detoxification. It filters toxins and bacteria from blood and neutralizes the toxins in preparation for elimination. The liver needs energy and vitality to keep up with the increased toxic burden. Liver™ helps support optimal health and vitality of the liver and is ideal during a detoxification or any kind of digestive repair effort that might release extra toxins (like yeast die-off ). Apply 2 to 3 drops of Liver™ directly over the liver (right side of the body, under the breast) two to three times daily. The blend is especially helpful when applied before sleep during a detoxification effort as so much of the liver’s work occurs while we are sleeping. Gall Bladder™: The gallbladder stores and concentrates bile which helps us emulsify fat for digestion and carries toxins and old hormones out of the body. Ideally, the gallbladder releases bile into the small intestine where it breaks down the fat for the body to absorb, before being eliminated from the body in the stool. When we eliminate the bile, we eliminate toxins with it. Unfortunately, stress, toxicity, hormones, or diets too low or too high in fat can make the bile thick, viscous, and stagnant which impedes its ability to flow both to the small intestine and out of the body. If toxins, do not exit the body, they can be reabsorbed, further adding to the body’s toxic burden and contributing to hormonal imbalances and gallbladder challenges. Applying Gall Bladder™ on the right side of the body under the bra under-wire or along and slightly under the right rib cage two to three times daily may help support optimal flow of bile. Kidney Support™: The kidneys play a vital role in detoxification, regulating the flow and balance of fluids in the body, filtering the blood, and helping remove waste from the body through urination. In Chinese medicine, the kidneys are considered the seat of courage and willpower. They control the volume, composition, and pressure of fluids in all the cells. Blood flows through the kidneys at its highest pressure, filtering out toxins and directing nourishing materials to where they are needed. Kidney Support™ applied over the kidneys (lower back, size of a fist starting at bottom rib), over the forehead or around the outside of earlobes can help support the kidney’s ability to release toxins. It also helps to support the kidneys with electrolytes. Electrolytes, particularly sodium, help the body maintain normal fluid levels with helps the kidneys. I recommend the brand Matrix Electrolyte. Binders also help protect the kidneys by routing the majority of the toxins out through the gastrointestinal system in the feces, rather than excreting them through the kidneys in the urine. Lung Support™: The lungs are sponge-like organs located near the backbone on either side of the heart. They function as a fundamental source of life energy –transporting oxygen from the atmosphere into the capillaries so they can oxygenate blood – as well as an important channel of elimination – releasing carbon dioxide and other toxins from the bloodstream into the atmosphere. Applying 2 -3 drops of Lung Support™ over the lungs can help release toxins. In addition, improved circulation can help the lungs function more efficiently, which promotes detoxification. 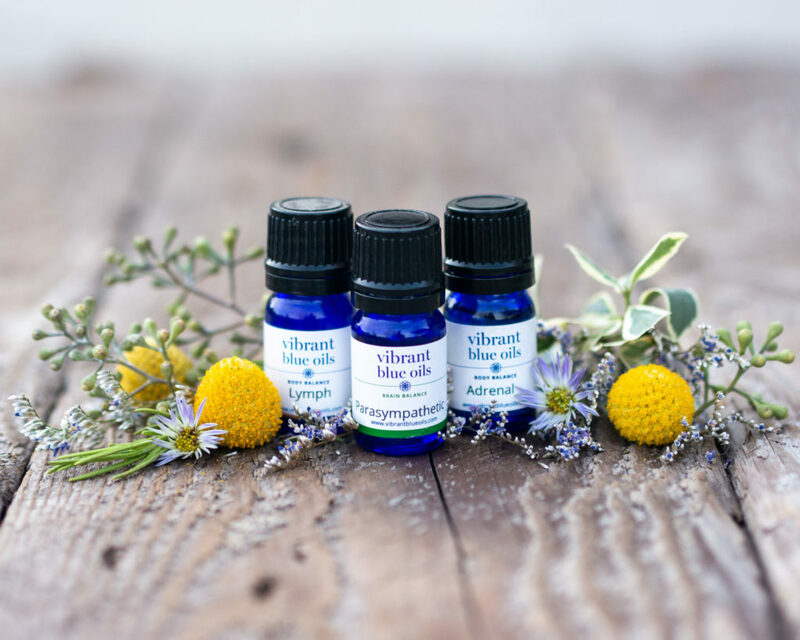 Applying 2 -3 drops of Circulation™ over the lungs (especially over the left clavicle), on the sides or back of the neck, on the wrists or ankles to support healthy circulation and help eliminate toxins and waste.